If you want also size , we can customize for you . Just tell us your specific requirement before production . Bell Tents have a beautifully elegant silhouette, create an ambient circular space, are quick to put up and pack down small. The bell tent is very suitable for garden , prairie , desert , beach glamping , also good for festivals , wedding , events , party etc . We have an factory with more than 7 years` experiences in canvas tents and was at the forefront of camping equiptent . We prouduce our bell tent with a quality 100% unbleached cotton canvas at a reasonable price. Throughout the years we have enough experiences in production and exporting , also have mature techniques in production . 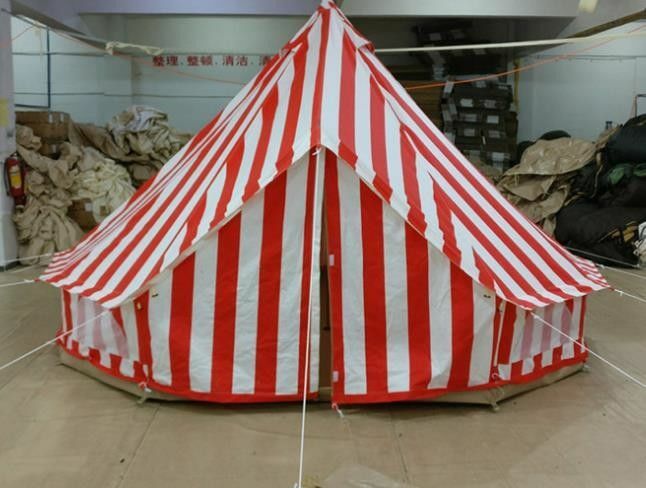 We also can supply customization service except for current standard tents . OEM/ODM is available .